WBA light middleweight champion Erislandy Lara (20-2-2, 12 KOs) dominated former IBF titleholder Ishe Smith (26-7, 12 KOs) in beating him by a lopsided 12 round unanimous decision on Friday night at the Illusions Theater at the Alamodome in San Antonio, Texas. Lara bounced back from his points defeat to Saul Alvarez in July to win by scores of 119-109, 119-109 and 117-111. The Cuban’s speed, movement and accurate punching frustrated Smith for the entire fight. Smith failed to establish any jab or cut off the ring from his elusive opponent. 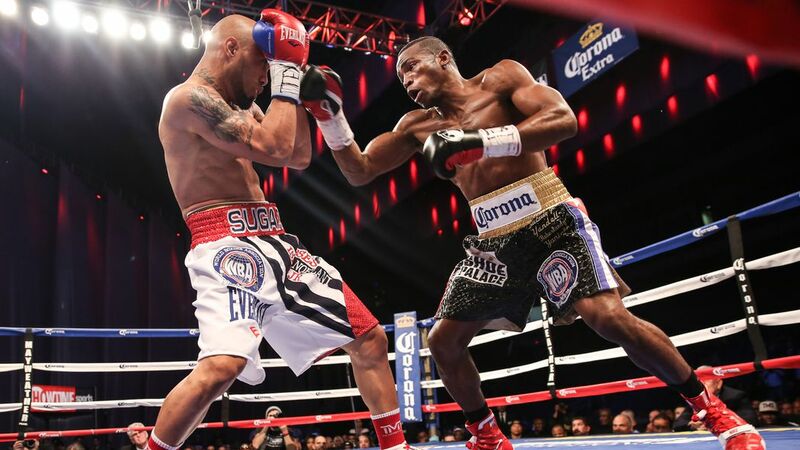 The American did try and land a lot of body shots, but most of his punches were blocked on the gloves of Lara. The accuracy of Lara’s left hand from the southpaw stance was his best weapon and he landed it for the majority of the contest. Meanwhile, British welterweight Ashley Theophane beat Miguel Zuniga on points to improve his career record to 37-6.